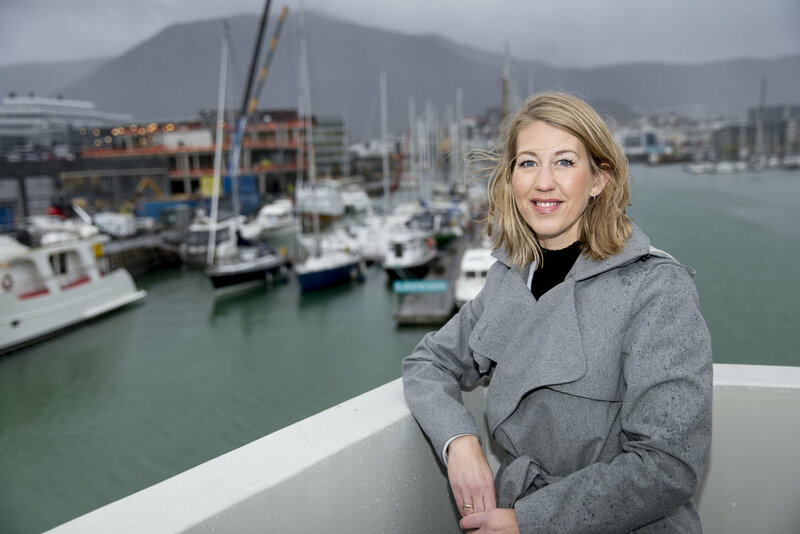 Tanja Hoel, the Director of the Norwegian Centre of Expertise the Seafood Innovation Cluster, has been working in the seafood and aquaculture industry her entire life. With a background as a marine biologist and with an executive degree from the Norwegian Business School, Tanja has both the knowledge and experience needed to bring the aquaculture industry into the future. As a central figure at the innovation hub, Marineholmen, Tanja is furthermore an important driving force of global aquaculture innovation and entrepreneurship, and one of the most prominent women figures in the Norwegian aquaculture industry. What are examples of innovations through the cluster? There is an acknowledgement that we are all operating in the same fjord system, and a collaborative approach to solve the major challenges within sea lice management and fish health are essential to increase the sustainability of the industry. An innovation that addresses both collaboration and these biological challenges is AquaCloud, a digital cloud-based platform on open innovation we recently launched. AquaCloud involves sharing data from 300 fish farming sites along the coast, combined with machine learning and artificial intelligence from IBM Watson to provide us with new insights on how to gain more control on the environment and our production. Hopefully this will improve our management strategies on both sea lice and fish health moving forward. Should startups partner up with NCE Seafood Innovation Cluster? Definitely. We can provide startups with a very important network with a lot of industry know-how, especially on salmon production. Even though salmon is quite a small species in the global aquaculture volume production, it is the most advanced aquaculture species in the world. We see now suppliers using knowledge from the salmon industry on other aquaculture species. Thus, if you succeed as a startup company in the salmon industry, it will be an important global gateway to be working on other aquaculture species in a technology transfer perspective. There are many challenges that are unsolved, and we need new, innovative startups to work together with our industry players to provide us with new technologies and solutions. We are optimistic that our partnership with HATCH will result in new partnerships with startups getting in close collaboration with leading market companies and customers. Where do you see the aquaculture industry in 20 years? There are many scientific reports highlighting the growth and expansion of aquaculture, and I think the opportunities are tremendous. We all know the global mega trends of a fast-growing human population, an improvement of the financial situation for many countries demanding more proteins, and an increased focus on eating healthy food that is produced in a sustainable way - and all these trends favors aquaculture. Going forward, I definitely believe the salmon industry will expand, but in a volume perspective other species will be much more important. Is there a need for external innovation in aquaculture? Certainly. Technology transfer from external sources and industries can provide a much higher degree of innovation. Until now a lot of innovation has been contained within the aquaculture industry, but what we see now is that outsiders from other business areas are coming into the aquaculture value chain, bringing new innovations and new technology and thus increasing the innovation capabilities of the industry. What role do you think startups will have in the aquaculture industry going forward, compared to larger corporations? What we see is that a lot of the established corporates are now looking towards startups to increase their innovation capabilities, looking much more outwards when expanding their R&D or innovation departments. They are not only asking their already established suppliers but are being more active towards incubators and accelerators such as HATCH in order to build innovation networks and partnerships which can get them in contact with startups. Are large aquaculture companies in the salmon industry afraid of getting disrupted? Considering that the salmon farming industry is licensed and has high establishment barriers to get into the industry, I don’t think there is fear among the large salmon companies to get disrupted. But I would rather put it the other way - I think that the industry needs to be disrupted! We need startups to challenge us, and we need to increase the level of disruptiveness in the sector. How do you see smaller, innovative startups entering the salmon industry when there are such high establishment barriers? Mainly I think startups should focus on the huge opportunities within aquaculture beyond salmon, shrimp and tilapia. There are many opportunities that are still unexplored! We are currently working with startups that are looking into new species such as sea cucumber, micro- and macroalgae without any large established players on board, and we also see new players coming on board in land-based aquaculture. What do you see as the main benefits of locating a startup at Marineholmen or the Bergen? Marineholmen is truly what I would say a very complete innovation ecosystem. We have the mix of already established large corporates with a lot of industry know-how, such as companies like Lerøy Seafood and Cargill, in combination with the academic institutions, such as the University of Bergen and the Norwegian Business School, and maybe most importantly, we have a lot of infrastructure for startups to develop and test their equipment, such as the Makerspace and various lab facilities. We are also a meeting point with a lot of events going on where we try to bring in all kinds of different stakeholders to meet and interact together. Some examples of such arenas are open house, where we challenge both startups and established industries to meet and interact, speed-dating events, investor meetings and investor days, and coming up we have the world’s largest seafood and aquaculture business event happening now in March, together with HATCH, bringing in 150 investors from the global community. We really try to build up Marineholmen as a global meeting hub for the global aquaculture industry. In what way do you see an aquaculture focused startup accelerator as HATCH helping startups? I think there are many important ways that HATCH will be supporting startups. First, it’s with industry know-how, easily accessing the global seafood and aquaculture industry and getting a good understanding what kind of innovations that are needed in the market. Secondly, there is the co-working space in this innovation hub, and finally it is the knowledge and expertise that HATCH brings into the startups when it comes to business development. In addition, the financing is very important! Together with HATCH we are currently looking in on how we can build up a large aquaculture fund to really expand and grow startups moving forward. And lastly, if I wanted to take over your job one day, what would you recommend me to do, as a young ambitious woman? Seize the opportunities! And never be afraid to ask questions and to challenge! Also, it’s important to have a very professional perspective on what your job is, especially in a male-dominated industry such as aquaculture. Always expect to be met by the same professional attitude as you show! In order to support the existing collaboration between established industry players, as well as increase the collaboration with the external R&D community, the industry got together and founded The Seafood Innovation Cluster. The cluster is a membership organization working to increase the sustainability of the Norwegian seafood and aquaculture industry - an industry with high importance to the Norwegian economy. The Seafood Innovation Cluster have been appointed by the Norwegian government as a National Center of Expertise (NCE), acting as a mechanism for the government to speed up the innovation capabilities in the Norwegian seafood and aquaculture industry. The cluster works mainly on three strategic areas; increasing the knowledge capabilities with its industry partners, facilitating innovation initiatives, and supporting supplier development with both existing suppliers and new, innovative suppliers through entrepreneurships and startups - which also is the entrance point for establishing the collaboration with HATCH.